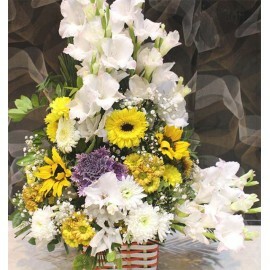 Bloom Flower Basket, arranged with imported flowers, get it delivered to your doorstep in 3 hours. 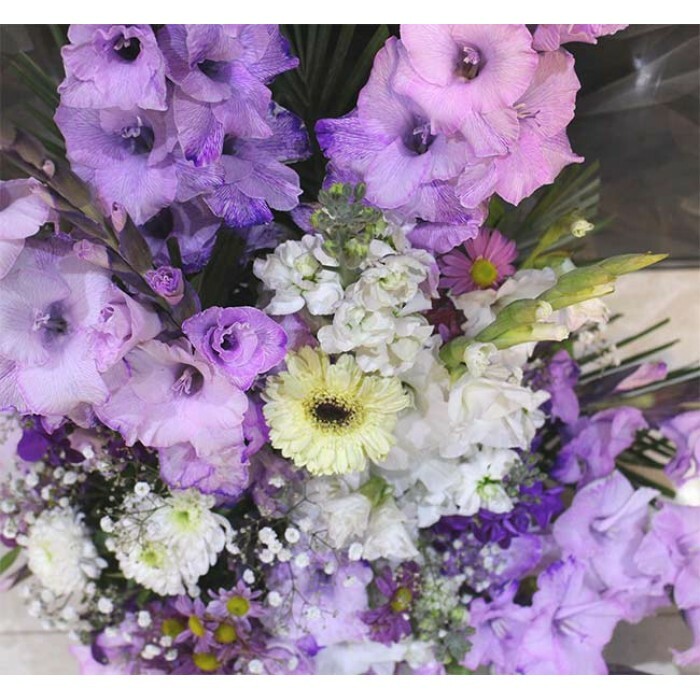 To add a Hand-written note, write your message in comments while checking out. Send someone a bit of heaven with this beautiful basket. 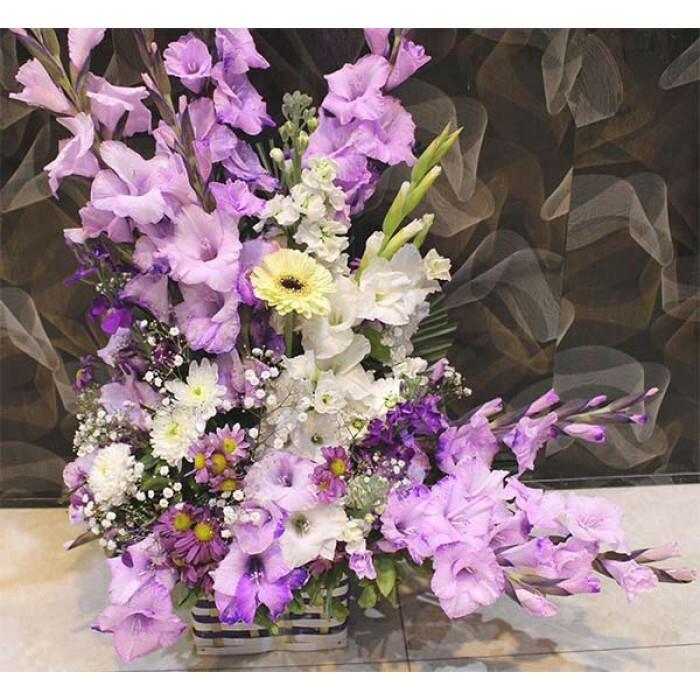 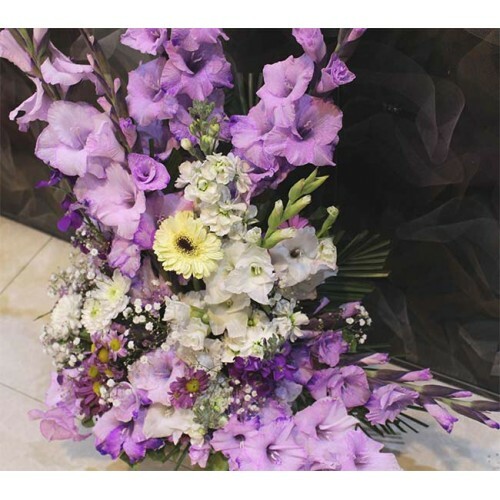 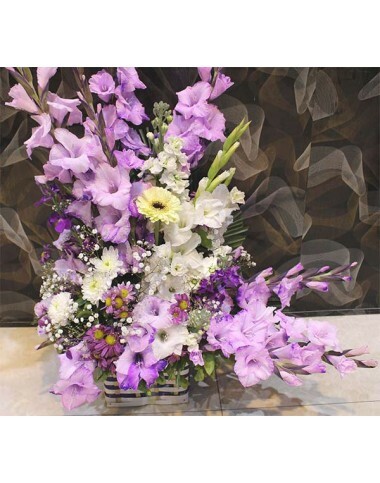 Luxurious white and purple gerberas with purple gladiolus wrapped around exquisite Stock and Baby's Breath in a basket. 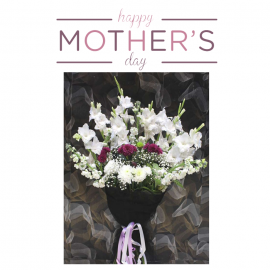 Send someone a bit o..